Celebrating most cherished moments of my life – as a amateur traveler – in different parts of the world…..
Mussorie is among the most famous hill stations in the state of Uttarakhand in India. It falls under Dehradun (capital of Uttrakhand) District which is located approx 35 Km away and from Delhi – the distance is approx 290 Km. 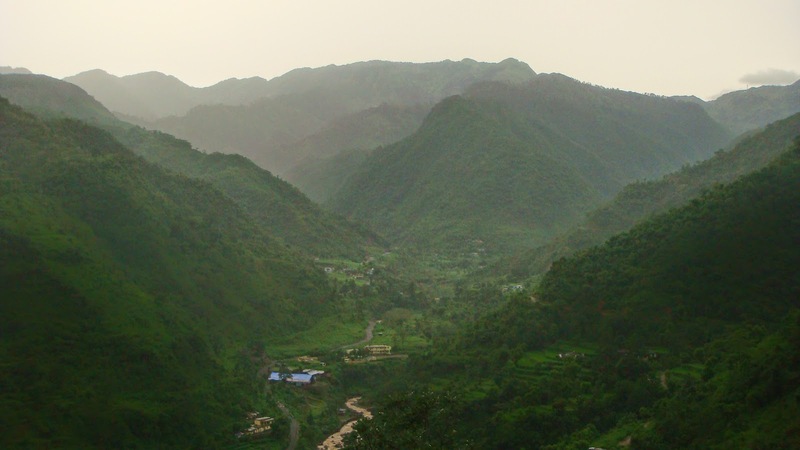 Other famous hill stations of Uttarakhand are – Nainital, Dhanaulti, Lansdown, Sattal, Almora, Kasauni, Bhimtal & Ranikhet. We travelled to Mussorie, couple of years back in 2011, from Delhi on a short vacation of 1N2D. We hired a cab from Delhi, and started our journey on a Saturday morning. On the way, we took halt for quick Breakfast at “Cheetal” – it’s the famous stopover for food on the Delhi-Dehradun highway. It has a beautiful garden view & a small zoo with rear birds. It took us 6-7 hrs to reach Dehradun, where we decided to stay. We reached Dehradun by Noon. Post our lunch, we took some rest and decided to head for sightseeing location called – Sahastradhara. This is about 11 Km from the city. A ropeway ride is available to reach the hill top – to enjoy the view from the hill top, a beautiful small Lord Shiva temple and small park. We originally didn’t plan to go to this place, but manager of our hotel suggested this place and good that we went there & luckily the weather was fantastic that day. After taking Darshan at the temple, we enjoyed the beauty of the place by roaming around and took lot of pictures. For all photo lovers who love to pose, there is lot scenic/picturesque opportunity available. The place has an ecstatic beauty of nature where water drips from limestone stalactites, making the water sulphur abundant and thus the place is also called as sulphur springs. The view from the hill top was superb and top of it, it started drizzling. Awesome feeling!!!! We also tried our hands with bow and arrow aiming balloons. The Bow & arrow was heavy than I thought it would be. Later in the evening, we gorged on hot n spicy noodles in nearby food joint & then came back to our hotel and rested our day. Next day morning, we headed for Mussorie. 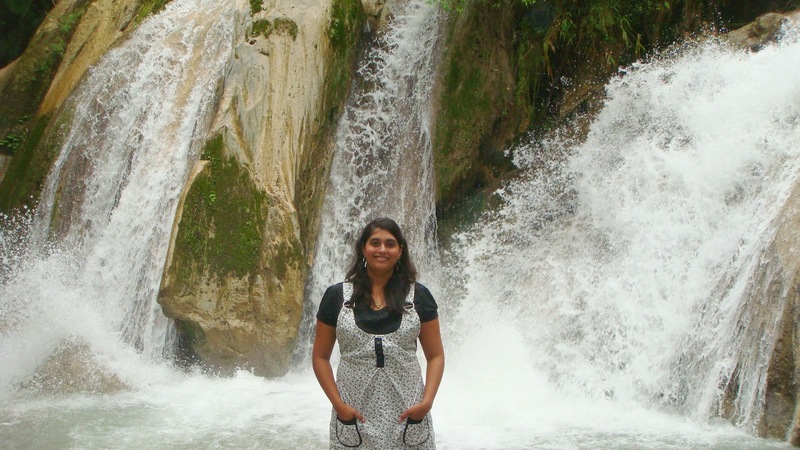 We went to the most popular tourist spot – Kempty falls-the famous waterfall. We decided to roam around the place as we have come such a long way. So, we started walking and reached a place where everyone was enjoying in the waterfall; but somehow we both were not interested to just be part of the crowd. From there, we just saw boating options available, so thought let’s go there, as it was not at all crowded. When we reached the boating area, we found another waterfall there; and my day was made. This waterfall is not visible from top, so not many people take pain to come down. Also, from top, it looks like there is only boating option available, so people who really love boating comes all the way down. After enjoying the water fall, we went for boating as the weather was good. On reaching a ticket counter, we saw a huge ball there. On curiosity, we got to know – that the ball will float on water with you inside. 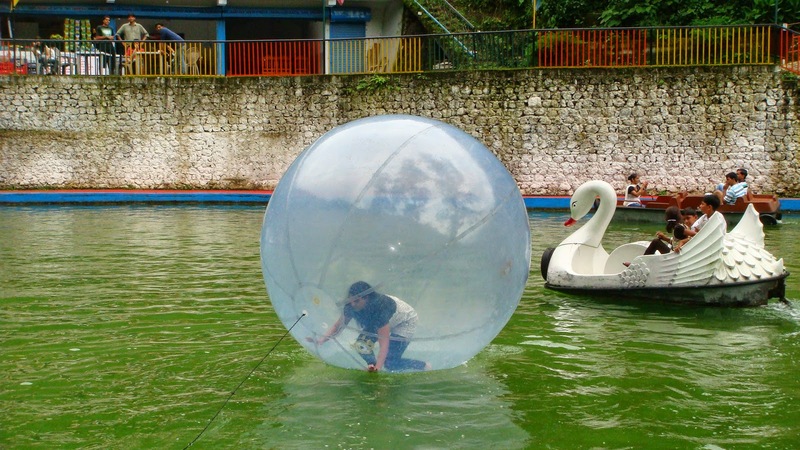 The idea of being inside the ball and running on the water was very exciting. We had not seen or experienced this activity till then, so we decided to give it a try. It seemed pretty easy in the photo/video we saw, but forget about running, we were not even able to stand inside the ball once it is in water. Somehow I managed to crawl. It was so much fun. Post both these tough physical activities, we decided to eat something. We enjoyed hot Maggie and tea. Sudden drizzling did “icing on the cake” . While coming back up, we crossed that crowed waterfall, and I thought people here are really missing so many things. And at the same time thanking god that these people are not exploring the place, otherwise, we would not have enjoyed so very much. Moral of the story – one should always try new things and should not only follow the crowd. There are unexplored things/places, waiting for you, if you give a chance. Although I agree, that boat thing needed a lot of walking, even I had in my mind, we have to come all the way up later; but thanks to our decision we went down, and had such an amazing time. Important Tip – One should visit this place in the morning during peak season, else will get stuck in traffic jams, which takes almost 4-5hrs to clear. There is one point where the road is very narrow due to hilly area. We were lucky enough to cross that narrow stretch before lunch time. We had our late lunch back in the hotel in Dehradun. Post lunch we proceeded back to Delhi while taking couple of stopovers at sightseeing places (museum, Flower Garden etc …) in Dehradun. Going towards the boating area only to find amazing activities, hidden waterfalls instead of following crowd.